Do you do your part? Paintball gun safety is a responsibility of every player. It is up to you to practice the proper safety procedures and also to help others follow the guidelines. Just because other players are not following the rules should not be an excuse for you to do the same. Proper safety techniques are the responsibility of every player. 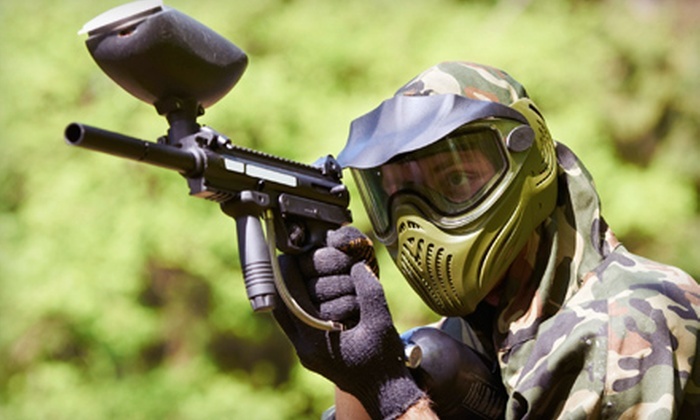 When most players think of paintball safety they only consider the importance of wearing a mask or goggles while they are engaged in actual play. This is a common mistake and can lead to other injuries on and off the field.You can get additional information at Paintball Discounters. When you consider all that is involved with complete paintball gun safety you quickly learn that it is far more involved than just wearing your goggles. To be a responsible paintball player requires commitment and an on-going effort to ensure safety for yourself and the other players. You must be informed, educated, and willing to practice proper safety procedures every time you take the field. We will detail some important areas such as: face and eye protection (goggles), body protection (chest protectors, gloves, and neck guards), paintball gun velocity (fps=feet per second), chronographs, referees, barrel plugs and barrel socks, and the importance of your on-gun safety device. To protect your body you will need an approved paintball goggle or mask. The job of the goggle is to protect your eyes and face from the impact of a paintball. Since most paintball guns are suppose to shoot at a regulated velocity of 265-300 fps, the impact of this force could damage your eyes. The problem arises when many players are shooting “hot” (above the regulated limit). Often times players do not know they are shooting above the limit because they have never used a chronograph to measure the speed of the paintball as it exits the barrel of their marker. This is very important and should never be overlooked. Shooting at an excessively high velocity can cause serious injury. Paintball goggles come in many different designs and colors. Some cover only your face, while other can also cover your ears, neck and even your entire head. The most important thing is to choose a goggle that fits you properly and offers at least eye and face protection. Paintball goggles have a lens which allows you to see clearly but is designed to protect your eyes from the impact of a paintball. The lens can be one of two types: a standard single-pane (non-thermal) lens which means it may “fog” during play or the lens can be a dual-pane (thermal) lens which means it is less likely to fog. Small, battery-powered, fans can also be added to the goggles to help prevent fogging while playing. Some paintball goggles, such as the Invert 20/20 goggle system includes a thermal lens and a fan both. This combination will provide the greatest level of anti-fog protection. One of the most dangerous things a paintball player can do is removing his/her goggles during a game or at anytime he/she is not in a designated safe zone. It may seem like common sense not to remove your eye protection while playing but many players do this because their lens has “fogged up” and they cannot see. Lenses can develop fog due to heat/moisture/sweat from your body. A single-pane lens is notorious for developing fog, whereas a dual-pane or thermal lens is much less likely to develop fog much the same way the windows in your house do not develop fog. With a dual-pane (thermal) lens there are actually two lenses separated and sealed by a barrier to trap air in between. This design is nearly fog resistant and typically the best and safest choice when choosing a paintball mask. A traditional single-pane goggle can range from $19 to $39 while a thermal goggle can range from $39 to $129 or more. Although the cost can be higher the thermal lens not only keeps you safe it makes playing more fun because you do not have worry about your goggles “fogging up”. One player even said that he had rather have the worst paintball gun and the best set of goggles than to have the best paintball gun and worst set of goggles. The truth is that if you cannot see then you cannot play. One counter-measure to the fog that develops on single-pane goggles is the use of a liquid called “anti-fog” or “fog-off” spray. This is sprayed onto the lens before a game starts and can help to reduce the amount of fog that develops. It is not full proof but for the average $5 per bottle price it is better than the alternative. Goggles are one of the single most import safety requirements in paintball, however, they are not the only link in the safety chain. For the utmost level of safety to be achieved there are other areas to consider. Also for body protection many players choose to wear a chest/back protector, a neck guard, full head cover, and gloves. Although none of these items are required they do help to lessen the “sting” of the paintball and can prevent bruising and pain in the more sensitive areas. These extra measures can be especially helpful for new and younger players. As mentioned above, a chronograph is also an important device that plays a role in overall paintball gun safety. A chronograph is an electronic device that measures the velocity (speed of the paintball as it exits your barrel measured in fps or feet per second). The chronograph can be hand-held or table mounted. The paintball player shoots a paintball through the designated area of the chronograph. The chronograph will then display a reading or measurement to show how hard your gun is firing. Once you know the current velocity at which your paintball gun is shooting you can then adjust up or down to reach the desired level. Most paintball guns have a velocity screw located on the side or back of the marker which requires an allen tool to adjust. Consult your owners manual for how to properly adjust your guns velocity. As a general rule of thumb, most organized paintball fields require your velocity to be set between 265fps to 300fps. Check with your local field for their specific guidelines. Indoor and smaller sized fields may require a lower velocity while outdoor and larger fields may allow a higher velocity. Note that it may be very dangerous to turn your velocity up too high. You could cause serious injury to yourself and/or other players and it may cause your paintball gun to not function properly or offer decreased accuracy and even break the paintballs inside the barrel. Yet another over-looked area of paintball gun safety is the barrel plug or barrel sock. These are devices that are designed to cover or block the end of the paintball gun barrel to prevent a paintball from exiting the barrel if the trigger is accidentally pulled. It is important to always use your barrel plug or barrel sock at anytime when you are not on the actual field. This also brings up another area of concern – the actual safety device on the paintball gun. All paintball markers have a safety to prevent the gun from firing. This safety can be mechanical or electronic depending on your specific paintball gun. A mechanical safety is typically a button that you press in one direction which prevents the trigger from being pulled, usually located on the side of the gun just above the trigger. An electronic safety is usually a button that you press to deactivate the firing option. It is critical that you always have your safety “on” when not in actual game play and anytime you are not on the actual field. Remember that injury can occur not only on the field but off the field as well. Keeping your gun on safety and always using your barrel plug / barrel sock will greatly help reduce the chances of misfiring your paintball gun when not intended. Finally, we will discuss the importance of a referee. A field “ref” as they are commonly called is an individual who is on the field during game play but not engage in the competition itself. His/her only job is to enforce the rules so that everyone is safe and the game is played in a fair manner. A referee can advise players of safety concerns, call players out when they are “hit”, and manage the flow of the game play and events. It is always a good idea to have at least one designated referee to ensure the safety and fun of everyone playing. The referee can also carry a chronograph with him to check the players gun velocity before and during the game. The best way to promote paintball gun safety is to learn the correct way to play and lead by example. If you are doing everything correctly then other players will learn by your example. If everyone has a safe day of play then it is more fun, but if even one person gets injured it can end the entire day of play for everyone. Be smart and be safe. Practice the proper paintball gun safety techniques on and off the field. Everything You Need To Know About Leather Gun Belt?